Our aim is to treat people as individuals and as people of worth and to provide a safe and homely environment in which to live 24 hours a day. We aim to enable our clients to maintain their individuality and support their rights and choice within the home. We endeavour to provide privacy, encourage independence and maintain our client’s dignity and self respect. We encourage residents and their families to bring in familiar belongings to personalise their rooms. Meals are considered to be of crucial importance. Food gives us nourishment, pleasure and a sense of occasion. On admission, your likes, dislikes and special diets will be noted. We want to create a warm and caring environment for our residents and we encourage family and friends to visit with no restrictions on visiting hours. 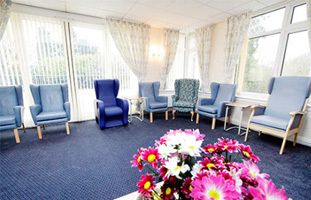 We believe this is an excellent care home and we highly recommend it. Mum is treated lovingly and respectfully. I have no regrets in choosing the Old Vicarage. 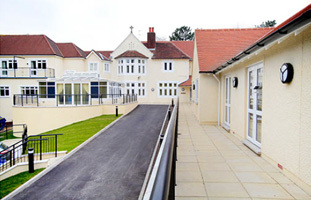 A downloadable and printable brochure containing information about our care home, aims and services.